There are so many products that I see & I'm just like I NEED TO HAVE THIS so I thought I would start posting about them that way if you own the items you can tell me if you think they are worth it :) .. Currently I am addicted to neutral based Eye Shadow Palettes & Kits. I think I some where like 7+ (insane I know) but they are the colours I'm drawn to on a daily basis and I do get great use out of every different palette I own. 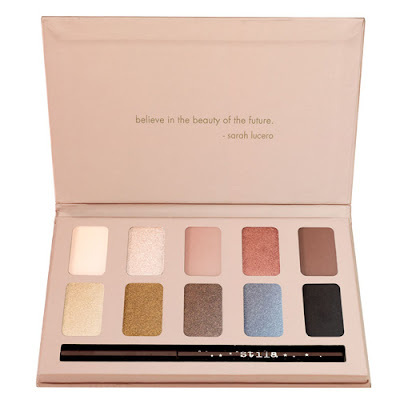 I just love the way this palette looks and how sleek and convenient it is the have all these shades in one place. I do have many palettes that contain similar colours but I don't think I would have any exact dupes after looking at swatches online. I love the quality of the Stila Eye Shadows and I'm sure this is no exception. To buy or not to buy is the important question. 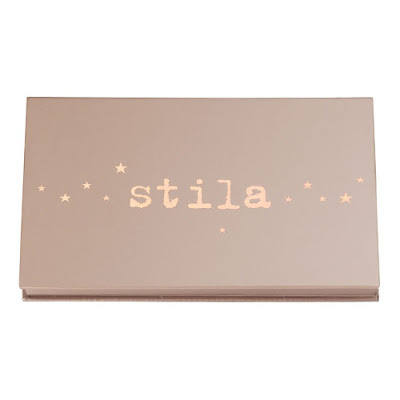 You can purchase the Stila Palettes and more from their range either at BeautyBay or Mecca Cosmetica. Are you as addicted to Neutral Palettes as I am? Do you own this palette or any of the Stila Palettes? Do you think they are worth it? This exact palette is under my tree! I'm also obsessed with neutrals. I will be sure to let you know how I like it! What drew me to this palette over other the other Stila palettes was its inclusion of Kitten. I adore that shade. I think I have about 5 Neutral Palettes on my current wishlist. My family thinks I am insane but I do use them all & tend to mix and match between palette's. I've been wanting this palette for ages, but I can't seem to justify it given how many neutral eyeshadows I have, and the fact I have both Urban Decay Naked palettes. Still, I'm kind of wondering whether I should've just bought it when Beauty Bay had their 20% off storewide sale! Neutrals are always alluring - and I've heard plenty of great things about this palette on YouTube. I'm not meaning to sway you either way but ... Sunset looks hella gorgeous! This looks like an awesome palette! YES I'm lusting after a stila palette too.